Companies use our ideas and support to optimise their supply chain, logistics and manufacturing, and enhance their competitiveness and ROCE. MCN's unique approach to management consulting and interim management has a significant impact on certainty and size of results. Our clients are the senior management of production, trade and service companies in the Benelux and Europe. Our senior professionals have a track record of successful realizations in management consulting or interim and project management. 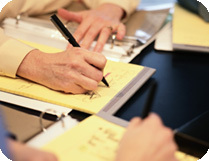 MCN combines their expertise and competences with good methodology and knowledge management. What you see is what you get. You meet all (one or more) people of the team before starting the engagement. We want a clear fit before starting any commitment.